Part of the fun of living in a Motorhome is finding little gem of places to visit along the way. 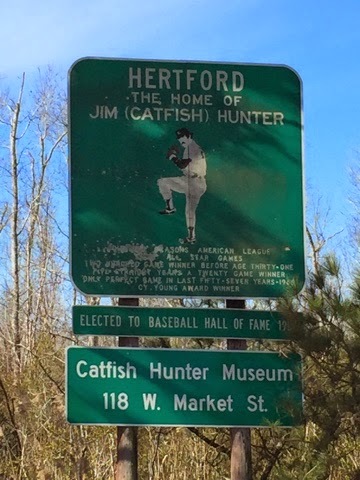 As we were driving to the airport the other day I saw a sign for baseball player Jim "Catfish" Hunter. The area was Hertford, NC. This was Jim's home town. 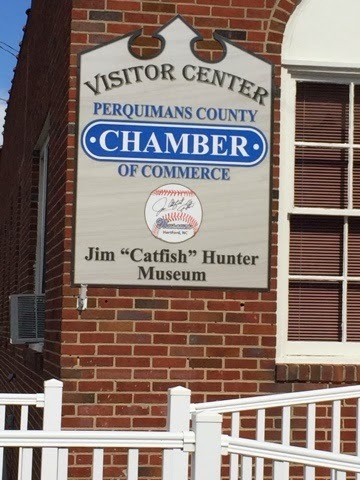 As you can see they have a Museum for Catfish. So Bonnie and I stop by to visit the museum. But being a very small town it was not open. So we walked back to a small coffee shop. As we ordered coffee I stated to talk with the shop manager. He new Jim Hunter as just a nice person who gave back to his community. Jim help coach baseball within the town and at times helped towns people who had financial problems. He said Jim was just a great guy, not just a great baseball player. 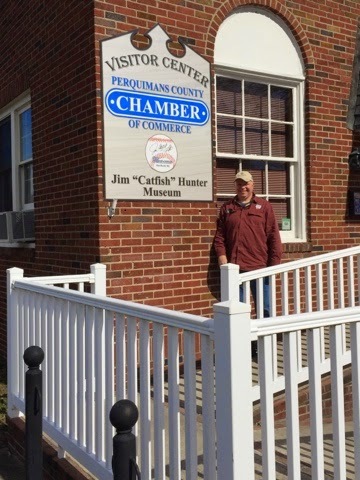 Bonnie and I have already made plans to come back to Hertford on our next visit to the Otter Banks and check-out the museum of Jim "Catfish" Hunter. I was sure the end of this story was going to be that the guy who sold you coffee also unlocked the museum for you. Ah, well.